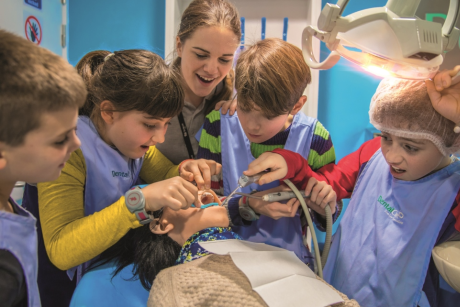 KidZania London, Shepherd’s Bush, has announced its action packed 2019 programme, including a series of special events for schools. KidZania London, described as the indoor city run by kids, will host events such as World Book Day and Science Week, as it gears up for a bumper year. The World Book Day activities will take place between 6th and 10th March and will be a three-day celebration of literature, reading and writing. World Book Day will feature discussions, workshops and challenges that include cover design, story-writing, and character-building workshops. Science Week, which will take place from 13th to 17th March, is dedicated to bringing Science to life and features a variety of activities designed with Key Stage 1-3 Science National Curriculum in mind. Maths Celebration: It All Adds Up! will be on in May and will prepare children to manage finances in later life. Math Month will focus on teaching children how to earn, spend and save their KidZo currency, plus special Geometry Degrees are available at the KidZania National University. In June, the STEM Fair will take place. In collaboration with leading Science, Technology, Engineering & Maths organisations and businesses, STEM week offers a four-day programme of activities designed to support key skills needed for Key Stage 1-3 learning. To book tickets for your school trip now, please email schools@kidzania.co.uk or call 03301 313335.